“The House of Lords earlier today [21 May 2018] debated the validity of a House of Commons amendment to require public central registers of beneficial ownership in the Overseas Territories (OT) during their Consideration of Commons Amendments to the Sanctions and Anti-Money Laundering Bill. 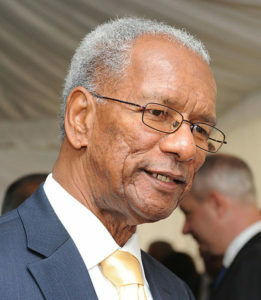 I welcome the many positive statements made by highly respected Peers in the Chamber on the Constitutional position of the British Virgin Islands and other Overseas Territories who are of the view that the United Kingdom (UK) proceeding to impose public registries on the territories is a violation of the well-established principle of self-governance and ignores the international standards met by the BVI and other OT Financial Centres on beneficial ownership of companies and information exchange, particularly with UK law enforcement. Despite these strongly expressed views, the amendment remains in the Sanctions and Anti-Money Laundering Bill which moves on to its next stage and eventually onward to Her Majesty the Queen for Royal Assent.